THE expulsion of Manicaland Provincial Affairs minister Mandiitawepi Chimene from Zanu PF on Sunday has triggered mixed reactions from Mutare residents with some, particularly in the opposition camp, describing her as good riddance. Others, however, said the province had lost a hard-working minister who would be hard to replace. Chimene was among hundreds of ruling party officials who were shown the exit door for their alleged links to First Lady Grace Mugabe’s G40 faction. MDC-T Manicaland chairman David Chimhini yesterday said he would not shed tears over Chimene’s political fall, describing her as arrogant and reckless. Chimhini claimed that Chimene invited misfortune upon herself when she told Zanu PF supporters at a rally last year that God had inflicted MDC-T leader Morgan Tsvangirai with cancer of the colon as punishment for standing up against President Robert Mugabe. 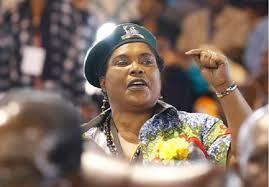 “Mandiitawepi Chimene has been very vocal about the opposition. She was reckless and arrogant, what goes around comes around. She is finished as a politician, no one is sympathising with her. How do you wish somebody to die?” Chimhini said. Centre for Natural Resources Governance director Farai Maguwu described Chimene as a hard worker. “I attended a meeting where she was addressing heads of departments in the public service, where she was demanding performance. She was passionate about her job and development of the province. I know people had other perceptions, but this is how I got to know her,’’ he said. Another opposition leader who refused to be named described Chimene as “a drunken thug” who did not deserve to occupy a top government position. Former Zanu PF Manicaland deputy spokesperson Charles Samuriwo said: “For now, let’s just support what is happening as we are entering a new era. I left the party after the 2013 elections because I did not subscribe to what was happening in the party because expulsions were now part of Zanu PF.